If you’re interested in the new global movement of “Business as Mission,” Mats Tunehag is your guy. He is Senior Associate on Business as Mission for both the Lausanne Movement and for the World Evangelical Alliance Mission Commission, and founder and co-leader of the first global think tank on Business as Mission (now in its second multi-year session). Recently on his blog, and re-posted on the Bam Think Tank blog, Mats gave us a pithy but penetrating run-down of 12 dimensions of BAM. Nineteenth-century Christian missions exploded across the globe with the general expectation that the gospel would penetrate the whole world, and that the evangelism of the world would conceivably be completed within a century or so. That sense of optimism is not so prevalent today, probably in part because of the decline of Christianity in parts of the world that were at one time the fountainhead of Christian faith. A review of the past century reveals that regions in which Christianity had at one time taken root have not always remained Christian for long (think Europe). In contrast, Islam’s progress has tended to be more stable, rarely giving up territory once it has been claimed. I hear in Dr. Chung’s paper a series of “openings” of world missions activity and thought since Mott and the 1910 meeting at Edinburgh. I want to review these briefly and then, as I am a historian, to illustrate them with a brief story from recent Christian history in the global south. 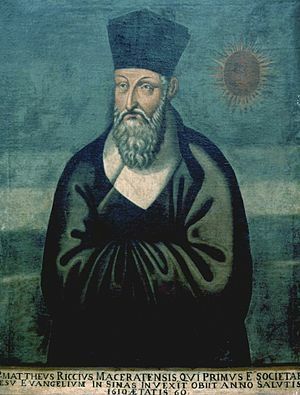 One of my all-time favorite gospel-translating saints is the 16th-century Jesuit missionary Matteo Ricci. By “gospel-translating,” I mean the apologetic and missionary move of entering a culture and finding the best points of connection to the gospel, thereby the better to present the gospel in a compelling way. Here is a summary and commentary on the third lecture of Nicolaus Ludwig Count von Zinzendorf, Bishop of the Church of the Moravian Brethren, from Nine Public Lectures on Important Subjects in Religion, preached in Fetter Lane Chapel in London in the Year 1746. Translated and Edited by George W. Forell, Iowa City, University of Iowa Press, 1973.